To save you money, we try to utilise as much room as possible on each truck’s route. That means you save money on your move and we run a smarter, more efficient business. That is why backloading can prove to be the better and cheaper choice. 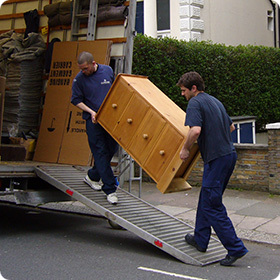 Backload is the amount of available space that a truck from a furniture removal company will have. Backloading is done when you let them carry your boxes in that available space as they go from one drop off point to another. This costs less because the price will depend on the space you take up with your boxes, whereas with distance movers you have to pay for the whole moving truck even if you are not actually able to fill the whole truck. Please feel free to contact one of our staff here to discuss your Backloading Moves quote. Thanks for your contact, looking at $475 inc GST ground level access. i am looking at moving my 8 smaller boxex and % large boxes from 91 warrego drive sanntuary point nsw 2540 to 31 barnfather st east geelong vic sometime in july.please email me on a qouate thanking you. Hi we are moving some items from a Sydney 3rd floor unit (no lift) to an Adelaide house . Thanks for your email and information, For this move your quote is $1495 inc GST. Let us know if you wish to book this in.